You have decided: you will work on your SEO strategy and you will rule the world! You don’t even know where to start, but you’re a fast learner… nothing can stop you! In fact, you only need one of the millions of courses to get you started, one of the many classes where teachers are so positive that they will tell you that you will get in first place, you will make a lot of money and you’ll be the next wizard of the Web. Or maybe you are the representative of a company and you thought that what interests you is to climb positions and beat the competition and who cares if the competition has a well-structured marketing strategy and they only use the SEO every now and then, ’cause they don’t need it: you have decided that your company must be there and it will be. Whatever it takes. But please: it has to cost little. Between courses, handbooks, manuals to download, books to read that are already old once they’re published, tips online, the chaos is reigning and only one thing is certain: the things that are not said about SEO, today, are way more than those that are said and that all these untold things, make the SEO look simple and accessible to everyone, without proper experience and education. 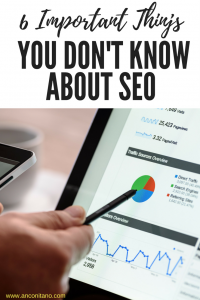 I have identified and summarized 6 of the most famous myths about SEO, the most common and sadly false, the result of years of observation, study and work in the field. There is no SEO based only on keywords and optimization: there is the knowledge of the market, the ability to analyze it, the knowledge of the user’s intentions, a lot of experience in the UX and the UED. And today, also a lot of insight that comes from having gone through all the previous stages of SEO when precisely the keywords were everything. Do you know Google Hummingbird? Do you know the semantics of the Web? 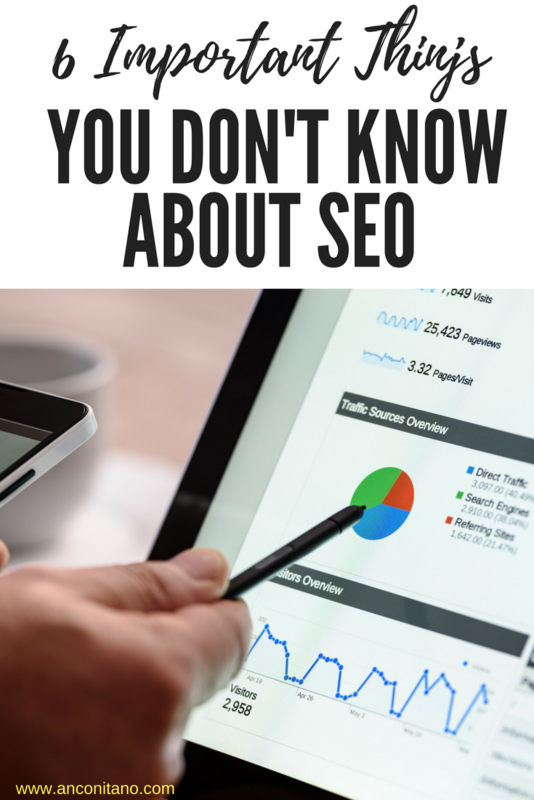 No, Google does not make you an SEO Specialist and not even the coolest course on the market, listen to me! If they tell you that with the right keywords you’ll be first on Google, they are deceiving you: SEO is not an exact science and no one, not even those who say the opposite, knows the algorithms of Google and other search engines. You can do all the keyword searches you want but if you think this will give you the key to conquering Google you’re wrongly bad. Also because if it were so simple, none of us doing it for decades would work again and we would all be drinking and sunbathing in Seychelles. Very serious mistake, even madness, thinking that SEO is for all types of sites. Are you a blogger and are you sure that SEO is what you need? Do not you think you need anything else? SEO needs a careful work and study on your target and if it brings results in companies belonging to a particular niche, for example e-commerce sites (where it is vital), it can be extremely negative in other areas. And here we go to point 4. 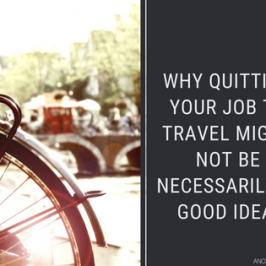 Dear company and dear blogger, are you really sure that the SEO is what you need to take off? Too often, thanks to the abundance of unorganized information and unprepared people who absorb things like sponges without having the required knowledge, you can find very well ranked articles on Google for certain keywords. But then you discover, once entered to read, that the article/post talks about everything except what is said in the title or that what is mentioned in the title is only dealt with a smear. Do you know what that means? You’re doing all wrong, and the person who came in to read the article run away from the trick, the bounce rate of your site will be very high and your site will be worth less than zero. Content is King but good content rules and if you start bad you’ll end up badly. Ah, the visits alone count little if they do not convert where the concept of conversion varies from project to project, including blogs. Dear Blogger, first think of your reader and then the SEO and you will get the results you are looking for. Even if they told you otherwise, doing SEO seriously is not free, takes time, money and even a lot of study. If at the last course you participated in you have told you that you can do SEO professionally or you can apply the principles of SEO to your blog without making any effort, they’ve fooled you: money and time have to be counted when you deal with SEO. And you must consider that money and time can turn into a serious nothing, especially because, if you do not have the right knowledge, even if you can place a page or post among the first results, soon you will not know how to keep the position and what strategies to use to move forward. Ah, without forgetting that if you do not have the tools to analyze what you are doing (and I do not mean the Google console) your efforts will have zero value and, if not even measurable, they won’t make sense at all. Even if you try to get on top on Google, you should always make the effort to work for all search engines, even Bing for example. That’s why: if you have an integrated strategy you have to cover everything if you don’t have a good strategy you only think about what you see. And this is a huge mistake. … very often the most interesting articles are on pages 5 and 10 of Google. They will not be the ones who receive the most visits, but those who convert better, those who keep the reader glued and who achieve their purpose: to be useful and read by interested people, potential customers if we’re talking about a niche website. 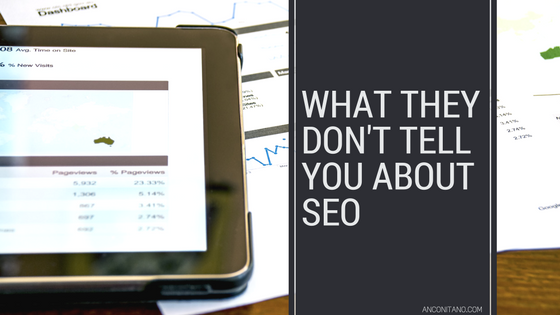 That said, I’m sure you’re wondering: so, is the SEO dead? No, it is not dead, indeed: it has changed, it is constantly changing and evolving. This is why you do not suddenly get to know SEO: it’s a bit like diagnosing yourself instead of going to the doctor, only to discover that the doctor who spent 20 years of his life studying the human body would have solved the situation in a second … and maybe without medicine!